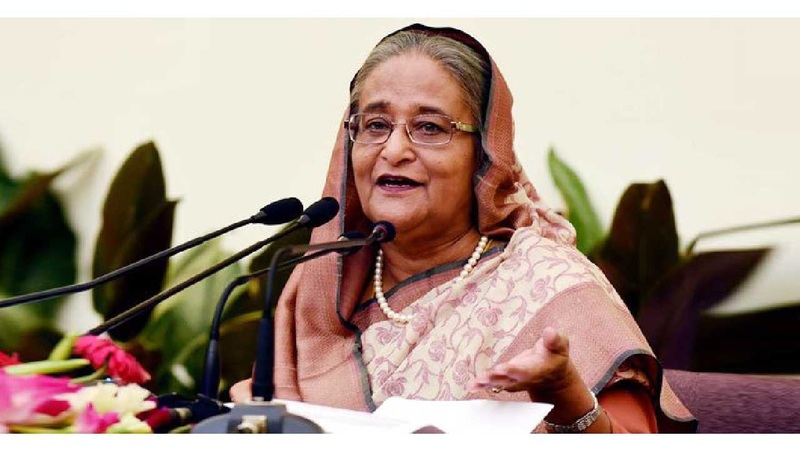 Dhaka, Sept 19 : Reiterating that the government firmly believes in freedom of press, Prime Minister Sheikh Hasina on Wednesday urged the journalists to play a constructive and responsible role that will be helpful for the country’s development. “The government firmly believes in freedom of press, but attention needs to be given [to the fact] so that no one could use this with childish attitude,” she said. The Prime Minister said this while distributing assistance among journalists from Bangladesh Journalists’ Welfare Trust at a function at her office. Regarding criticisms against her, Sheikh Hasina said she cares little who writes what against her. “I think little about who writes in favour of me and who writes against me. What I always think is whether I’ve the confidence while I go for doing any work and whether I made the right decision. I walk with my own confidence,” she said. The Prime Minister said everybody has the right to speak and the government always believes in the freedom of newspapers and journalists. “No one can say we ever gagged anyone’s voice; we never did that, and we don’t do that either,” she said. Rather, Hasina said, the government has done whatever necessary to establish the freedom of press. The Prime Minister regretted that she never got the wide coverage in the newspapers. “I didn’t get the cooperation from the newspapers…maybe this is because of the owners, but I always have the relations with journalists,” she said. Hasina said the government has been working tirelessly and with sincerity for the development of the country. “How much success I’ve achieved and how much service the people of the country are getting will be judged by people, but, I think, to serve them as their servant is my duty,” she said. The Prime Minister announced to provide Tk 20 crore as the seed money for the Bangladesh Journalists’ Welfare Trust and requested the owners of the media outlets to come forward to enlarge the amount. A total of 113 journalists suffering from various diseases and financially insolvency and family members of the journalists who have died in different incidents were given the financial assistance. Chaired by Information Minister and Chairman of the Trust Hasanul Haq Inu, the function was addressed, among others, by PM’s Media Adviser Iqbal Sobhan Chowdhury, State Minister for Information Tarana Halim and Chairman of the Parliamentary Standing Committee on information Ministry AKM Rahmatullah, President of Bangladesh Federal Union of Journalists (BFUJ) Molla Jalal and secretary general Shaban Mahmud, President of haka Union of Journalists (DUJ) Abu Jafar Surjo and General Sectary Sohel Haider Chowdhury, Information Secretary Abdul Malek and PIB Director General Shah Alamgir.